About Us – Spiral Industries, Inc.
Spiral Industries, Inc. was established in the spring of 1969. Originally located in a small 1700 sq. ft. building in Milford, Michigan, first year sales would total only $22,000. Early on, it was discovered that hard work and commitment would be the foundation of our corporation. Hard work and commitment have its rewards. The original building would see several additions in the coming years. Sales continued to grow as the customer base became more diversified. Primarily concerned with the agricultural tractor market, Spiral began to develop a niche in the heavy truck industry. In 1976 it became apparent that Spiral needed additional manufacturing and office capacity. A second site was purchased in Milford, to handle the growing requirements of our fast growing customer base. The second site was located near the Huron River on Main Street in downtown Milford. This gave Spiral an additional 6,000 sq. ft. between the two sites, and a work force of 25 employees, sales now reached an estimated $500,000 a year. In 1978, the company moved once again to a new building located near the Mill Pond on Summit Street, just north of Downtown Milford. 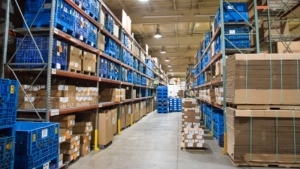 This new facility was comprised of 35,000 sq. ft. of manufacturing space and 3,000 sq. ft. of office space. 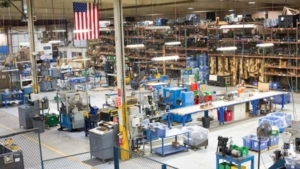 This facility would see Spiral grow at an unprecedented rate as annual sales would reach close to $6 million with a work force numbering close to 75 employees. 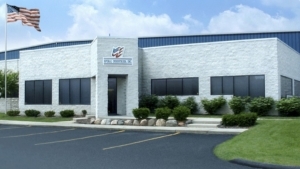 In February 1995, Spiral industries moved all operations to our present location in Howell, Michigan, located just off US Highway 23 at Route M-59. This new facility is a refreshing addition in the long history of Spiral Industries. The building consists of 50,000 sq. 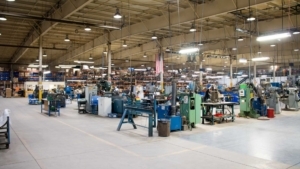 ft. manufacturing floor space and 5,000 sq. ft. of office space. With a work force now at approximately 95 employees, producing an estimated annual sales volume of $12 million. Spiral Industries continues to grow and evolve as a world class supplier in the heavy truck and off-road industries. As we continue through the next century, Spiral will strive to continuously improve and develop to meet the demands of our valued customers. Customer satisfaction, quality products and a skilled and dedicated work force will ensure a competitive and viable future for Spiral and our customers. (EDI) is an electronic communication method that provides standards for exchanging data via any electronic means. (EFT) is the electronic transfer of money without the direct intervention of bank staff. Established in 1969 – Spiral Industries, Inc is still owned and operated by founding family. We have 95% on-time delivery for both new/prototype and scheduled production builds. Our goal is to exceed our customers ‘standard requirements’. Scorecards available upon request.